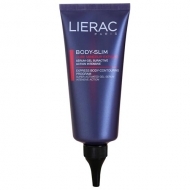 DESCRIPTION: Body-Slim Destock Nuit from Lierac is an intensive slimming concentrate for the body. Its constituents act overnight eliminating all visible signs of encrusted cellulite ("orange peel", loss of firmness and fluid retention) and fighting localized fat promoting a slimming effect. 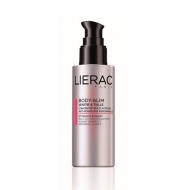 Day after day the skin becomes firmer and smoother, giving visible results after 14 days of use. With a fragrance of red fruits this care has a fast absorption and melting texture, leaving the skin soft. 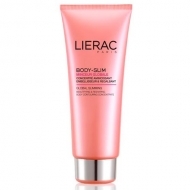 Formulated with patented WTB System, a complex composed of 3 active components (sacred lotus, white willow and biotechnology peptide) that transform the cells that store the fat, in cells that burn the fat. Enriched with caffeine associated with a molecular technology that enhances the action of the constituents acting at night. 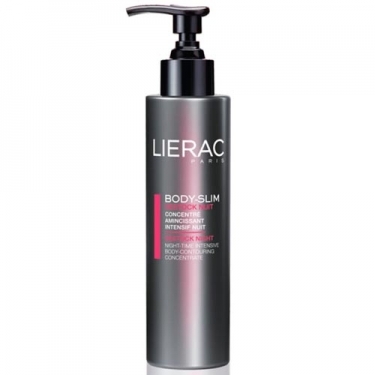 Contains also extracts of red fruits that gives a pleasant aroma to the product. Apply daily at night, through gentle massages in circular movements, on the affected areas (thighs, hips, buttocks).